To continue with this weeks Halloween Theme…This Saturday’s speciality drink will be..The Bride of Frankenstein! Rub a wedge of lemon around the rim of a martini glass and dip the glass into a plate of coarse sugar. Set it aside. Pour the remaining ingredients into a cocktail shaker with ice. 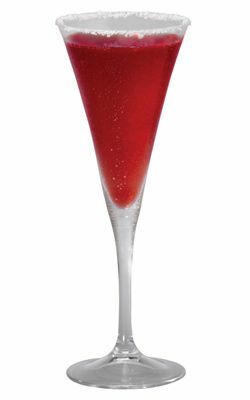 Shake and strain into the garnished martini glass. Perfect for your halloween wedding or your halloween party! Give it a try and let us know what you think! This entry was posted in Speciality Drink Saturday and tagged bride, bride of frankenstein, bride to be, detroit bride, detroit wedding planning, detroit weddings, engaged, event planning, halloween drinks, halloween speciality drinks, michigan weddings, ohio weddings, serendipity weddings and events, wedding planning, wedding speciality drinks. Bookmark the permalink.